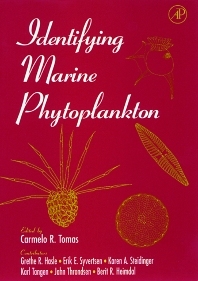 Advanced graduate students, faculty and researchers in marine science, marine ecology, and oceanography, micropaleontology and related disciplines involved with the identification of marine phytoplankton. This group includesnon-specialists in government agencies assessing the health of marine ecosystems. Fisheries scientists, aquaculturists, and oil companies. G.R. Hasle and C.R. Tomas, Introduction and Historical Background. G.R. Hasle and E.E. Syvertson, Marine Diatoms. K.A. Steidinger and K. Tangen, Dinoflagellates. J. Throndsen, The Planktonic Marine Flagellates. B.R. Heimdal, Modern Coccolithophorids. Glossary. General Index. Florida Marine Research Institute, St. Petersburg, U.S.A.